One of the best holiday destinations in Malaysia has got to be Langkawi. It is a beautiful island that has scenic natural views, pristine white beach, and crystal clear ocean water. Many Muslims come to Langkawi to enjoy a fun Halal holiday or experience a romantic honeymoon getaway. If you are planning for a trip to this island, consider one of the 7 best luxury hotels in Langkawi for Muslims! 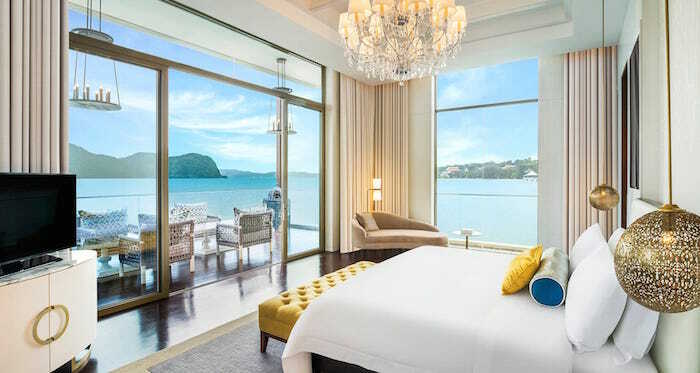 If you are looking for the best luxury hotels in Langkawi for Muslims, the five-star St. Regis Langkawi is ideal for you to consider. This top-notch resort offers premium facilities and excellent services. Here, you will enjoy staying in one of its luxurious guest rooms, dining at the Halal restaurants, and pamper yourself with the personal butler service. Since it is set in a lush rainforest, it offers a great private vacation – ideal for a honeymoon! The Danna Langkawi is another luxury hotel that Muslim travellers should consider. It is set on a tropical hill, offering a picturesque view of the Andaman Ocean. This five-star hotel in Langkawi boasts a colonial architecture but with a touch of traditional Malay for its interior decor. 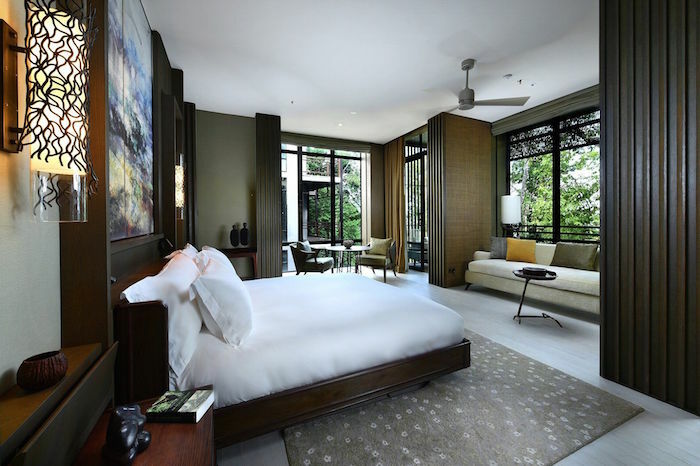 The luxurious rooms come with a four-poster bed, a private balcony, infinity pool, marble bathroom with showers and tub. You’ll definitely feel comfortable staying at this luxury hotel! Besides The Danna, The Datai Langkawi is also one of the best luxury hotels in Langkawi for Muslims that provides a unique experience. It is a five-star resort that offers beautiful forest views, complete amenities, and great hospitality. 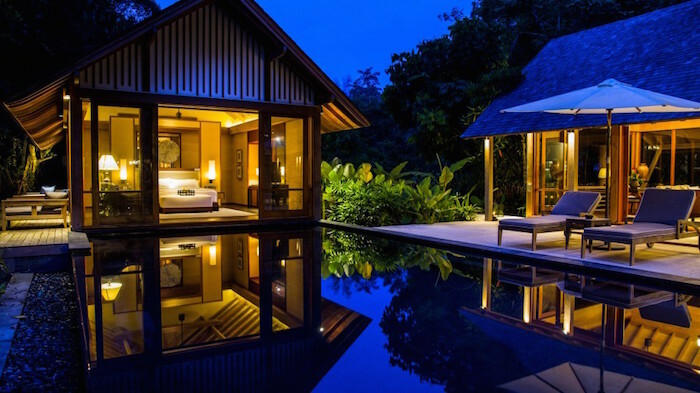 Located in the northwest tip of Langkawi, The Datai is perfect for Muslim families and newlyweds. 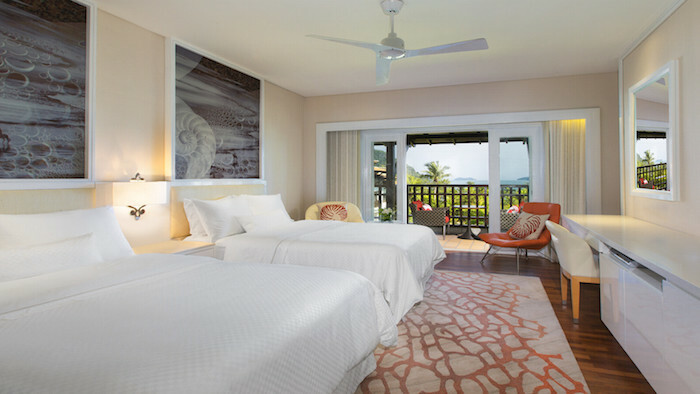 Most of the guest rooms offer a jungle view and several villas will give you the ocean views. It makes a perfect tropical retreat for you since the stylish lodge villas are made of timber. 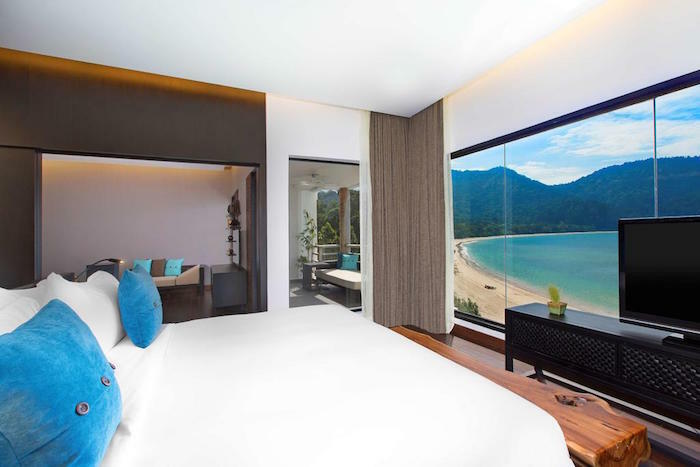 Located in Kuah town, The Westin Langkawi is one of the best five-star hotels in Langkawi that is worthy of your consideration. It is also a perfect choice for Muslim families. There are 4 outdoor pools, a recreation centre, and 6 halal restaurants in this hotel! When you stay here, there is really no need to go out. You can enjoy your Halal holiday at this property as it offers complete facilities for your family. If you wish to stay near Kok Beach, The Ritz-Carlton is a good choice for you. This brand-new hotel is ideal for Muslim families as you can find a tennis court, private beach, children playground, fitness centre, and several Halal dining options. Plus, it is located near to several top attractions in Langkawi such as Langkawi Cable Car and the Seven Wells. Are you a nature lover and would like to stay in a hotel that offers fun and educational programme for your kids? Then, The Andaman Langkawi is for you. Here, you’ll find a coral nursery, educational nature walks, and kid’s club. With its five-star status, you can expect to stay in an elegant room and enjoy either a private pool or a hot tub in your suite! If you’d like to explore the island, you can use the hotel’s shuttle service to get to nearby attractions like Cenang Beach. 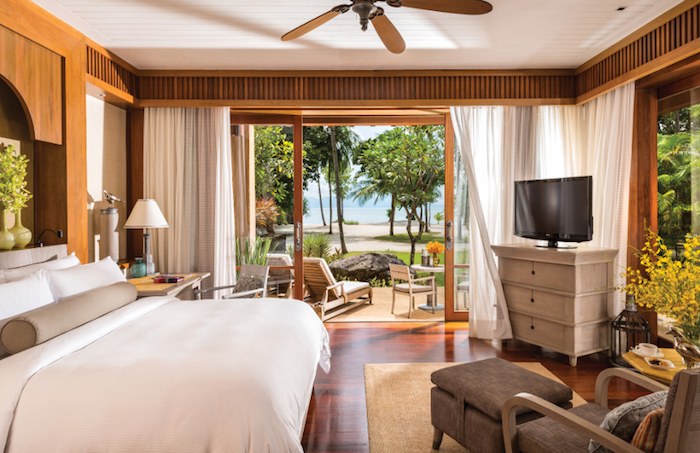 When in Langkawi, wouldn’t it be nice to be able to stay right on the beach? If you are looking for a luxurious beach resort, Four Seasons Resort is one of the best luxury hotels in Langkawi for Muslims. 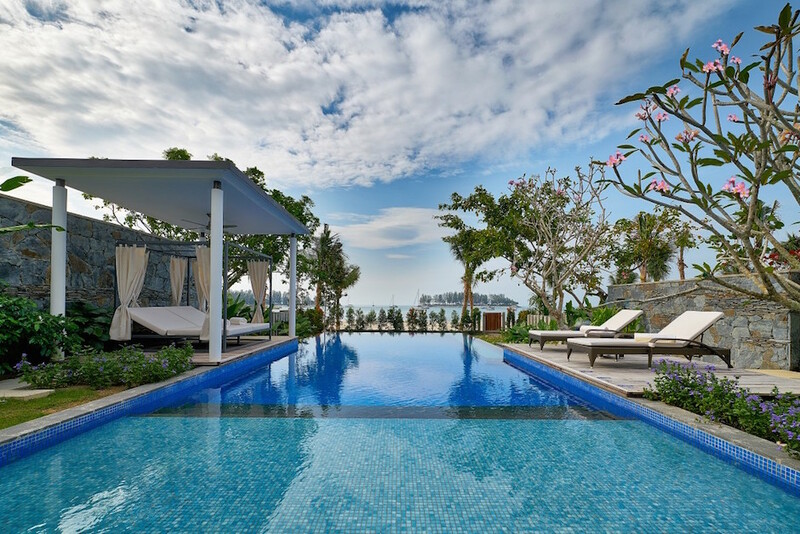 It is a premium beachfront getaway located on the north side of Langkawi. At Four Seasons Resort, you’ll stay in an exclusive private villa that comes with its own outdoor private pool and terazzo bathtub! For your kids, there are educational discovery centre, pony rides, and kids’ pools! 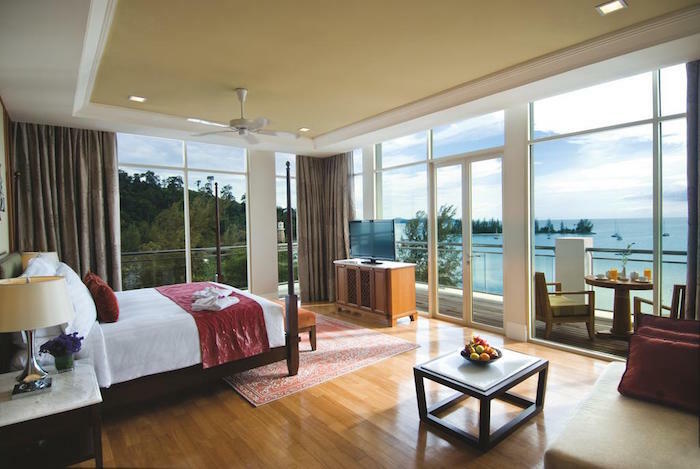 Consider staying at one of the family-friendly luxury hotels in Langkawi for Muslims! Enjoy a comfortable, well-pampered, and memorable vacation with your family by staying at one of the best five-star hotels in Langkawi above! They offer premium facilities, top-notch services, plenty of Halal dining choices, and fun activities for your kids.